Following on the heels of this case, several major record labels including Capitol Records, Warner Bros, and Sony Music, filed a lawsuit in a Texas District Court. Helped by the RIAA, they sued ISP Grande Communications for allegedly turning a blind eye to its pirating subscribers. The labels argued that the Internet provider knew that some of its subscribers were frequently distributing copyrighted material, but failed to take any meaningful action in response. For example, it didn’t have a proper policy in place to deal with persistent pirates. 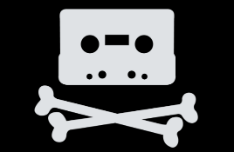 In order to enjoy safe harbor protection, the DMCA requires ISPs to adopt and reasonably implement a policy for terminating the accounts of repeat copyright infringers. According to the labels, it is clear that Grande failed to do so. Last year, the record labels moved for summary judgment on this safe harbor protection defense, ahead of the trial. This is a crucial issue, as the ISP can be held directly liable without a safe harbor defense. A few days ago, Senior US District Court Judge David Ezra ruled on the request, siding with the record labels. The decision follows the report and recommendations from US Magistrate Judge Andrew Austin, but Judge Ezra conducted a fresh review of several contested issues. According to Judge Ezra, it is clear that Grande Communications is not entitled to a safe harbor defense. The evidence, including comments from the ISP’s own employees, clearly shows that it hasn’t adopted and reasonably implemented a repeat infringer policy. “In this case, the evidence is clear that from at least 2011 until 2016 Grande had no internal policy or procedures whatsoever to enforce their forward-facing statement that they would terminate customers for repeat infringements,” the order reads. Grande terminated subscribers before October 2010 but stopped doing so for the six-and-a-half year period that followed. The ISP argued that it had a public-facing policy under which it could take action, but this wasn’t actively enforced, evidence shows. “In internal emails, one Grande employee even stated that ‘we have users who are racking up DMCA take down requests and no process for remedy in place’,” the order reads. “Moreover, to be eligible for the DMCA safe harbor, an ISP must ‘reasonably implement’ a termination policy, not just adopt one,” Judge Ezra adds. The court states that this “utter failure to terminate any customers at all over a six-and-a-half-year period,” shows that the ISP made every effort to “avoid reasonably implementing” a repeat infringer policy. Terminations eventually started again in 2017, two months after this lawsuit was filed. The record labels made several comparisons between Grande and the ISP Cox Communications, which also lost its safe harbor defense in a similar case. Grande contested that this argument doesn’t hold, as Cox actually failed to enforce its specific policy. However, Judge Ezra counters that Cox at least had internal procedures that in theory could lead to the termination of a customer. Grande failed to implement a proper policy to begin with. “Grande thus did even less than Cox to ‘reasonably implement’ the kind of policy required for the protections of DMCA’s safe harbor,” Judge Ezra writes. “If lax enforcement and frequent circumvention of existent procedures disqualifies a defendant from the safe harbor’s protections, the complete nonexistence of such procedures surely must do likewise,” the order adds. In its defense, the ISP also raised serious concerns about the reliability of Rightscorp’s piracy notices. Grande said that there are critical flaws in the Rightscorp system based. As such, terminating the Internet access of any subscriber based on this info may not have been right. Judge Ezra waved away this argument as well, highlighting that there were hundreds of thousands of notices from other companies, which the company didn’t act on either. “Even if the Court were to accept Grande’s arguments related to the Rightscorp notices, the summary judgment evidence shows that Grande failed to terminate a single customer despite the receipt of several hundred thousand other copyright infringement notices,” Judge Ezra writes. The result is that the court has adopted the recommendations from the Magistrate Judge, granting summary judgment in favor of the record labels. As a result, Grande will go to trial without a safe harbor defense. This means that it can be held directly liable for the pirating activity of its users. This is a major setback, and there is more bad news for the ISP. Grande requested summary judgment in its favor on a variety of liability issues, including direct infringement, willfulness, damages, and ownership of copyright. These were all denied, as recommended, except for two limited issues regarding the alleged violation of reproduction or public performance rights. The RIAA labels also submitted a cross-motion on these liability issues, requesting a ruling in their favor, but that was denied as well. This means that those matters will be decided at trial. A copy of Judge Ezra’s order adopting the report and recommendations is available here (pdf).